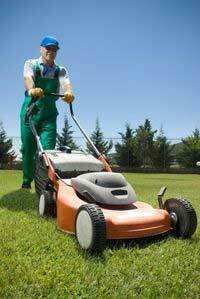 So you are thinking about starting a lawn mowing business and are not sure if it is the right move for you and exactly how to go about it. One great way to learn more about the lawn care industry is to read some of the great guide books and e-books that have been written on this topic. In this article I look at how reading can help you to get started in the industry. I also offer advice on how to choose the right products when you are looking for information. 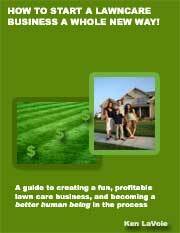 Some of the guides and reports that have been written by experienced lawn care business owners offer you a great way to get an insight into the business. There are definitely a number of tips and tricks that only lawn business operators with first hand experience in the business can tell you. This kind of information will help you to proceed in the right direction when it comes to setting up and running your lawn care business. It can also help you to avoid many of the mistakes that beginners typically make. There are a good variety of titles relating to the subject of 'starting a lawn care business' on Amazon.com and on the websites of other online book sellers. It is great to order real books to read and to have them sitting on your shelf for future reference. However, don't forget that there are some great digital products in the form of guides and reports that can be downloaded from the Internet as well. Buying digital products also means that you can access the information that you want immediately and you don't have to wait for physical books to be delivered. Some of the e-books that you can get online are actually more like entire startup kits offering business forms, sample business plans and standard letters in addition to an informative guide or e-book. By reading some of the e-books and startup kits that are available you can get a variety of opinions from people who have started their own lawn care businesses from scratch. Some have moved on to more lucrative businesses and want to share what they have learned to help beginners. Others just want to make a little extra money by passing on knowledge that they have gained over time and consider to be valuable. 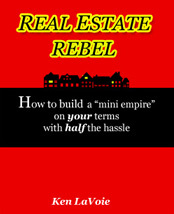 By looking at the selection of books on Amazon.com you will see that some of them have not actually been written by real experienced lawn business owners. Instead, some guides have been put together by researchers who write generic 'start a business' guides and throw in some specifics that they have learned from interviews and online research. Some of these books are still worth reading but you should also read some of the e-books that have been written by real lawn care business owners who write about their own first-hand experiences. So before you buy any book or e-book make sure that you check the background of the author to understand the perspective that they are writing from. You should also consider your right to get a refund should you discover that the report, book or guide that you bought did not meet your expectations. Many e-book guides and other downloads offer you the option to get a full 'no questions asked' refund if you feel that the information that they provided was not of use to you. On the other hand it can be difficult to get a refund for physical books if you have read them already and you may have to pay the cost of shipping them back to the seller. By deciding to start a lawn mowing business you will be committing to spending at least a few thousand dollars in startup costs and you will be investing a lot of your own time. Before taking this risk you should definitely consider spending $50 or $60 on a selection of books and e-books to make sure that you are fully informed and are able to position yourself for success.